The Logitech M505 Wireless Laser Laptop Mouse is a high-performance yet portable wireless mouse perfect for laptop users or even for desktop users who prefer a mouse on the smaller side. Save big on Open Box Logitech M505 Wireless Mice from HDEtron.com! Open box items are new items that have been opened and handled but function flawlessly like-new! 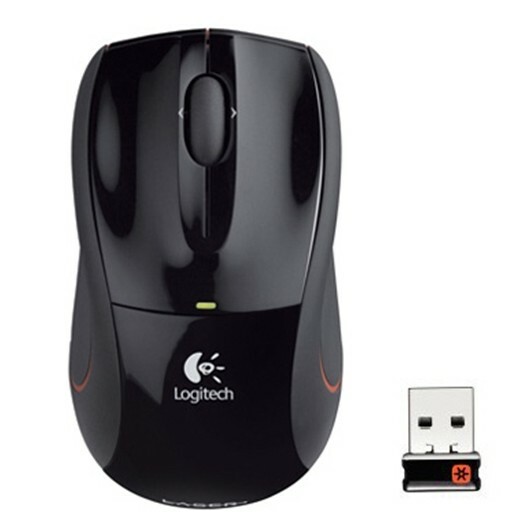 The Logitech M505 Wireless Laser Laptop Mouse is a high-performance yet portable wireless mouse perfect for laptop users or even for desktop users who prefer a mouse on the smaller side. Featuring an ambidextrous shape, and a rubberized contoured design, the M505 ensures a comfortable mousing experience. The M505 features a high-performance advanced laser engine which provides extreme accuracy and flawless tracking on nearly any surface. Logitech's micro-sized Unifying Wireless 2.4GHz receiver is so small, you can leave it permanently installed in your notebook and hardly know it is there. Plus it's Unifying capabilities allows you to add up to 5 Logitech Unifying capable devices without the hassle of multiple receivers. * The laser sensor does not work on glass or mirrors. *This new item is Open Box, and may feature handling marks or blemishes but functions 100% new.